Sandstone Chiropractic Spring/Harmony , formerly known as Grogan’s Park Chiropractic, has been around since 1990. 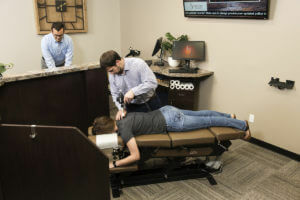 Since acquiring the new office Sandstone Chiropractic has introduced cutting edge therapies to the practice such as the Cutting Edge MLS Laser, Pulsed Electromagnetic Field Therapy (PEMF), Rapid Release Technology (RRT), Spinal Decompression and MORE! When the opportunity arose to acquire a new clinic in a thriving area, we knew it was a unique opportunity that we wanted to take on as a team. 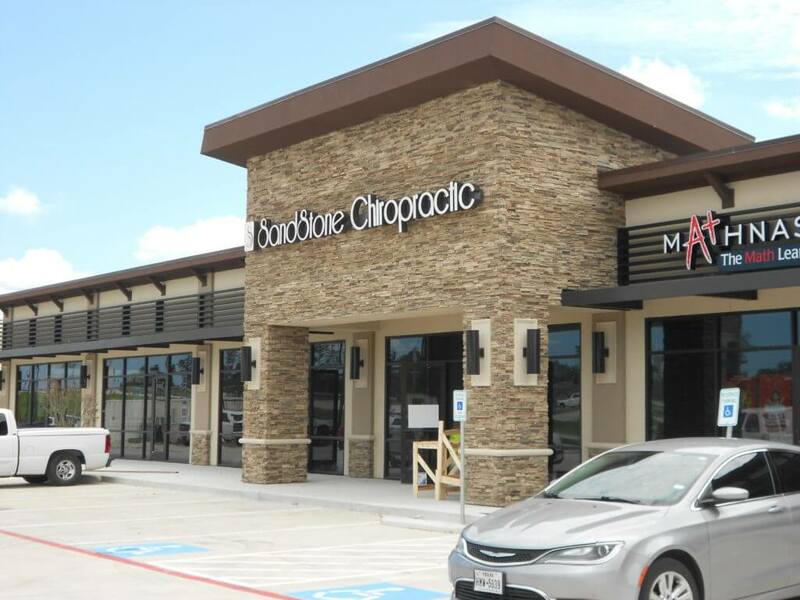 We are ecstatic to bring A New Experience in Chiropractic to the existing patients and surrounding communities of Spring / Harmony, Texas. Sandstone Chiropractic Spring/Harmony is located off of Discovery Creek in Spring/Harmony. Walt Disney was famous for his quote, “Do what you do so well that others can’t resist telling others about you.” At Sandstone Chiropractic, we believe that type of impression begins the moment you walk through our door. We invite you to enjoy a cup of tea from our refreshment station or to just simply relax on our patio and take in the naturalistic surroundings. We know…it’s not what you would expect. You’re welcome! If you are not greeted with a welcoming smile and addressed by name when you enter our office, you might be in the wrong place! If you would like a tour of our office to get you better acquainted with our facilities, please let us know. 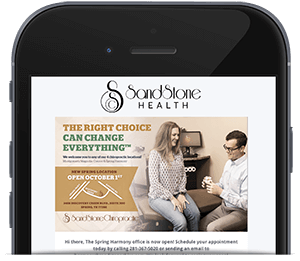 You are now a part of our Sandstone family, and as your Spring/Harmony chiropractor we want you to feel right at home. Once your initial paperwork has been completed, we will perform some preliminary tests and then you’ll meet the doctor of your request for a consultation. The consultation will allow you to discuss your reason for visiting our office. This will allow the doctor to determine if you will benefit from chiropractic. We encourage you to discuss both short and long-term health goals. Once we have determined that chiropractic might help you, we will perform a thorough examination to help identify the underlying root cause of your problem. 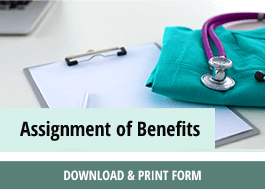 After we have had the opportunity to review the results of your tests and formulated a plan of action, we will spend the necessary time explaining your options so that you are fully informed about your decision. Take the time to ask any questions you may have. These are very important decisions that can have an impact on your health now, and in the future. We prefer to report our findings to you on the second visit which may be later the same day or the following day. This allows us the time to properly develop your personal treatment plan, and to not overwhelm you with too much information. 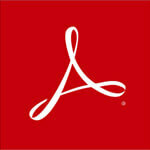 We promise to give you ample time to ask questions and to fully understand our recommendations. Ultimately, you decide how you want to utilize chiropractic. We can only provide you with the information to make knowledgeable decisions. We are a wellness-oriented clinic, but health goals vary from patient to patient and we respect that at our office. As Spring/Harmony chiropractors we understand that the thoroughness of your first and second visits may lead some to think that all visits will be of similar length. This is not true. Although we feel it is a necessary investment of your time to establish the best plan of action for you, your subsequent visits will be focused on implementing the plan, and can sometimes require just five to ten minutes. But don’t think the brevity of a regular visit lessens its value! It’s simple; make your visits. Each visit to our office will build on the previous. 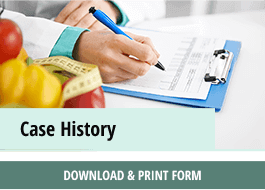 Missing visits can hamper or slow down the health goals you established at the beginning of care. Give our Spring/Harmony chiropractic office a call today to schedule an appointment so we can help you and your family! Do you really need a Spring / Harmony Texas chiropractor? Chiropractic care has a huge range of benefits and should be an integral part of any comprehensive health and fitness regimen. However, many in Spring, TX may not be aware of the myriad benefits that come with regular chiropractic treatment. Whatever your age, job, lifestyle or hobbies, there’s a great chance that you can benefit from a course of treatment from one of our skilled and eminently qualified chiropractors. Modern living is tough on your body, a chiropractor helps make it easier. Modern living has most of us spending the majority of our days sitting at a desk. The trouble is that sitting is (evolutionarily speaking) a relatively new configuration for our bodies and not one that we’ve really gotten used to yet, certainly not for hours upon hours. A sedentary lifestyle (one spend sitting for long periods) can have a range of ill-effects on our health. It can increase our risk of obesity, high blood pressure (hypertension), neck and back pain, diabetes and even some forms of cancer. Reduce the pain of tension headaches and migraines. Readers who suffer from migraines and tension headaches know just how painful and debilitating they can be. They can make getting through a day’s work, or even getting out of bed, seem like a superhuman feat. However, tension headaches and migraines may be felt in your head but their cause is actually in the back and neck. Your brain is simply processing the data that is pain from other parts of your body. A chiropractor can treat the causes of this pain which is a far more sustainable solution than treating the symptoms with painkillers. Your body is like an orchestra and your spine is the conductor. You can’t be expected to play a beautiful symphony if the individual instruments are out of tune or if the composer’s timing is off. Chiropractic care helps to ensure that the rest of your body is in tune by treating your spine, the hub of all nervous system activity. Without regular chiropractic treatment even the most dedicated gym junkie risks offsetting your own gym goals. Regular chiropractic care can help to prevent debilitating injuries and target the causes of pain which can keep you from pushing yourself to the limit. Even if you are afflicted by injury, chiropractic treatment can help you to bounce back harder and stronger than ever. Many great athletes from Arnold Schwarzenegger to Lance Armstrong swear by the power of chiropractors to help them to achieve their goals. Prevent wear and tear on your joints. Misalignment of the spine can cause us to favor one side of our bodies and this can place disproportionate wear on your joints on one side. Over time this can lead to a greater and greater away of health issues as well as chronic pain. Regular appointments with your chiropractor can keep your spine aligned and prevent excessive wear on your joints. Treatment of the source, not the symptoms. Western medicine is great at helping patients to combat the symptoms of their ailments with pharmaceutical treatments but it’s less hot at addressing the sources of problems. Chiropractic care gets to the root of the symptoms so that you needn’t be beholden to long and expensive courses of medication or have to endure the laundry lists of potential side effects. 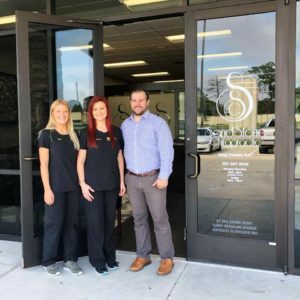 Nobody in Spring, Texas is more committed to ensuring that you are afforded all of the health benefits that can come with proper chiropractic care. Our skilled team are on hand not only to administer treatment but to answer any questions, queries or concerns you may have for your peace of mind. We believe that the first step towards effective treatment lies in informing the patient and giving them the guidance that they need to make the right decisions for their health. 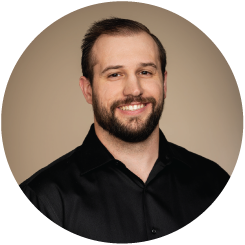 If you’re ready to enjoy the wealth of benefits that come from regular chiropractic treatment, or simply want to learn a little more, get in touch with us today. We can’t wait to get to know you better!